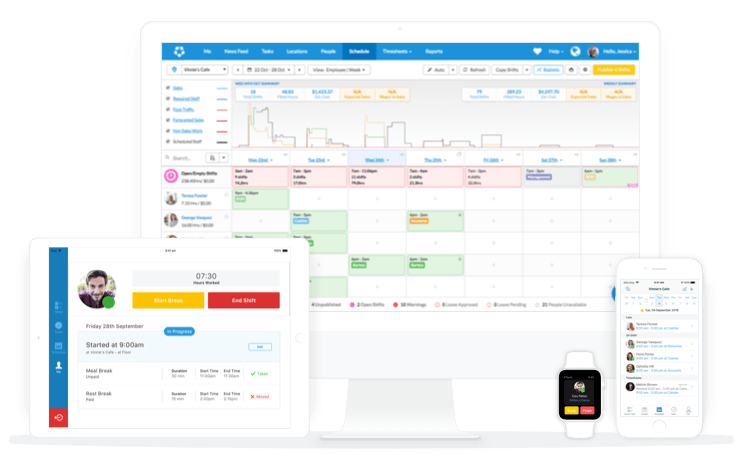 Intuitive, mobile-first workforce management software, built to scale and seamlessly integrate with connected business systems. Manage labor workforce operations and reduce costs. Accurately forecast labor demand and build AI optimized shift structures using multiple demand signals, including POS and third party data like weather, traffic and movement patterns. Using Auto-Scheduling, create optimized, legally compliant schedules with a single click. Manage preferences like cost optimisation or equal staff hours to match your scheduling priorities. Manage Time & Attendance across every location and any device, with Deputy’s on-site iPad Kiosk providing biometric and geolocation validation for total piece of mind. Simple, intuitive, mobile-first tools that employees love, ensuring high engagement and low change management costs. Deputy’s custom analytics engine provides complete visibility over labor requirements and wage costs across your ecosystem. Custom roles, permissions and organizational structures ensures Deputy works for your business, no matter the size or complexity. Our implementation experts ensure Deputy is purpose built to manage the unique complexity of your workforce. With extensive experience across key industries, including retail, hospitality and manufacturing, our specialists work with you throughout the transformation process to proactively manage risk and limit change costs, whilst ensuring Deputy integrates seamlessly into your connected ecosystem. Quickly adapts to FLSA, State and local labor law updates. Reduce penalty payments from 7% to less than 1% of all scheduled shifts. Our Open API and extensive network of integration partners provide endless opportunity to build your connected business. And if it doesn’t exist, we’ll build it for you, configured to the requirements of your business. 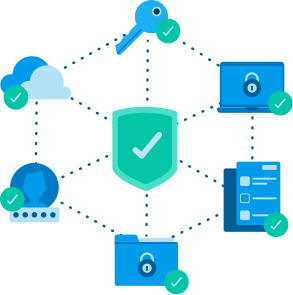 Deputy uses industry leading technology and best-in-class processes to ensure the safety, security and integrity of your data.